Traditionally, the granny flat (as the name might suggest) was a secondary dwelling for a family dependant—like, your grandma. And while the extended family living together has become less common today, the granny flat has grown in popularity with both homeowners and private renters. According to year-on-year data from Flatmates.com.au, granny flat listings on the site increased by 16% in 2016, while searches for granny flat accommodation increased by 84% in the last quarter alone. Perth saw the biggest increase in secondary dwellings listed on the site with a whopping 56% more than the previous year. The Sunshine Coast and Gold Coast in Queensland’s south-east had the next biggest increases in at 38% each. Chief executive officer of Flatmates.com.au, Thomas Clement, suggested that the faltering housing market in Western Australia may have spurred the increase. 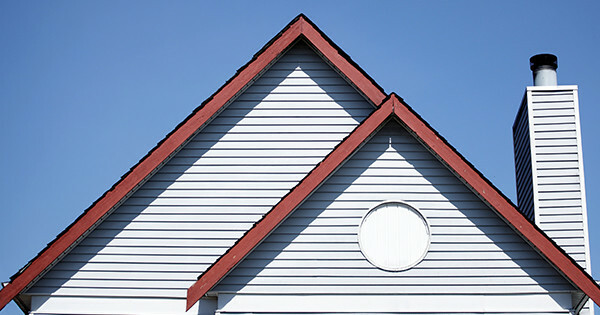 “The Perth market has seen housing prices flatline and rental yields dip recently. Those with granny flats may be looking for ways of helping pay down mortgages or even increase their rental yield,” said Clement. In Perth, the average granny flat was listed for $257 per week in 2016, which equated to a healthy $13,364 per annum. Sydney granny flats—despite many being located in outer north-west suburbs—commanded the highest rents nationally, averaging $346 per week. Clement recommended anyone considering letting an existing granny flat or investing in building one to let privately should check with their local council first. “Some councils will require permits to build separate dwellings and restrictions on size or height may exist,” said Clement. 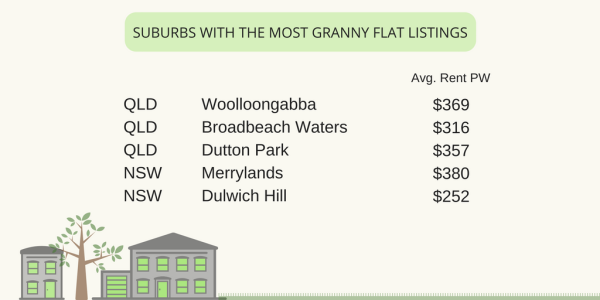 Data based on all granny flat listings on Flatmates.com.au in 2016. Search data based on Google Analytics results.